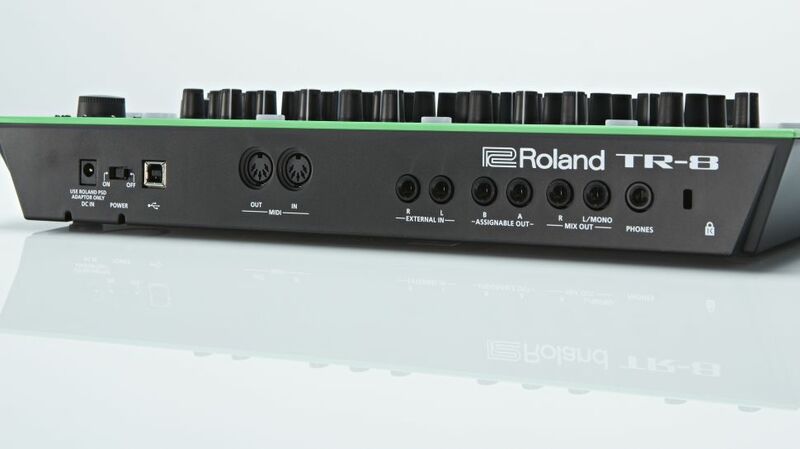 TR-8, Drum Machine from Roland in the AIRA series. Drum machine featuring TR-808 and TR-909 sounds. 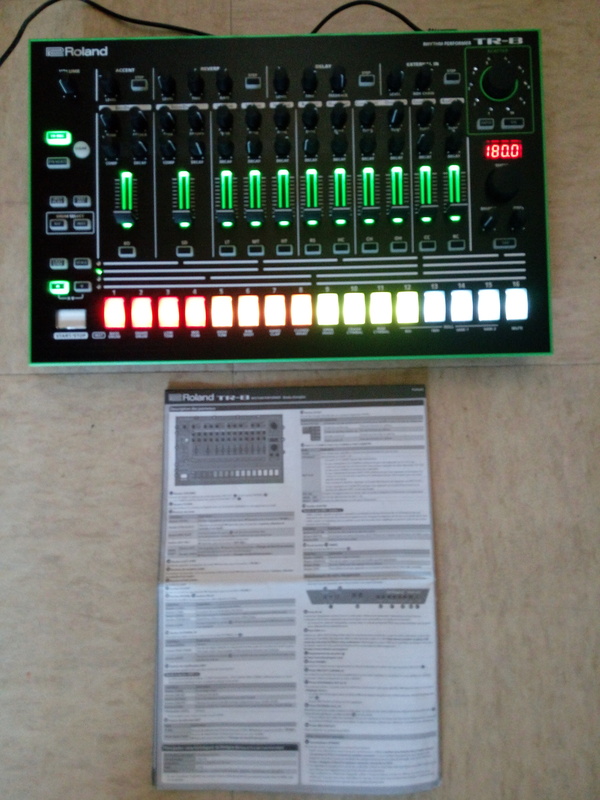 kick and snare's review (This content has been automatically translated from French)" The end of 2500 euros BAR roland"
Basic connectivity, midi in / out, USB (in time midi in / out) and made day of bones, jy back later. Effects, delay, accent, scatter, nothing monstrous, c is nice small doses, damage that emphasis can not be placed indifferently on each track of instrument, basically you put an emphasis on the kick and if unfortunately it is not the same as the snare, ben t as the emphasis on two ...... blah blah but roland ensures remdier to the problem via the setting next day, so I expect have to. 11 kits drums and 16 patterns (pattern 1 = 32 steps). No editor pc / mac yet, at the same time I am not really see the utility. Manual: just the base, frankly they could have pushed a little further but good. The edition of sounds, sound track and a few choices of instruments. 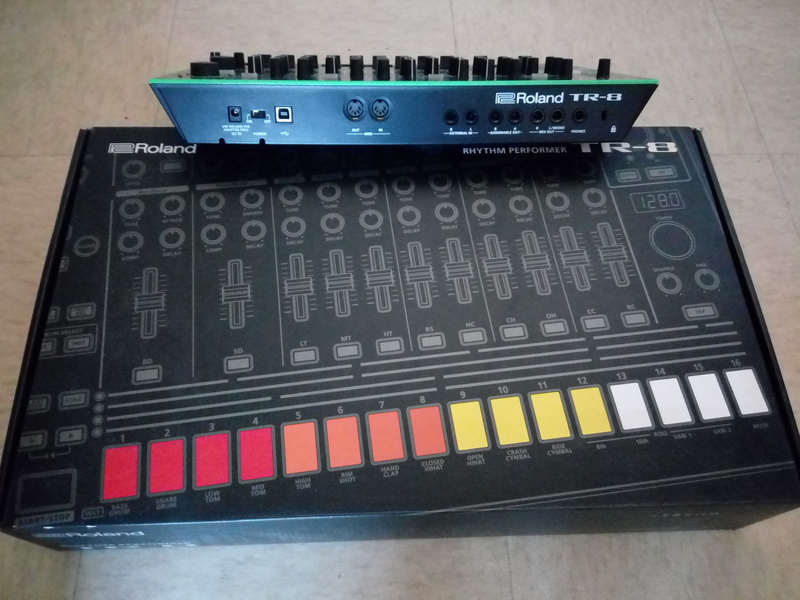 Then the SOUND I possde a tr 808 and unless you have perfect pitch, it just ny no difference, the scandal will cry resellers tr 2500 euros, how can you say that, my TR a real analog and your digital dung, which weighs 2 kgs rival it? Yes my dung rivals but in addition I have a tr 909 with bones and is going well and that will evolve in the future to allow to make it a true war machine. Sounds everyone know them nothing new to it. 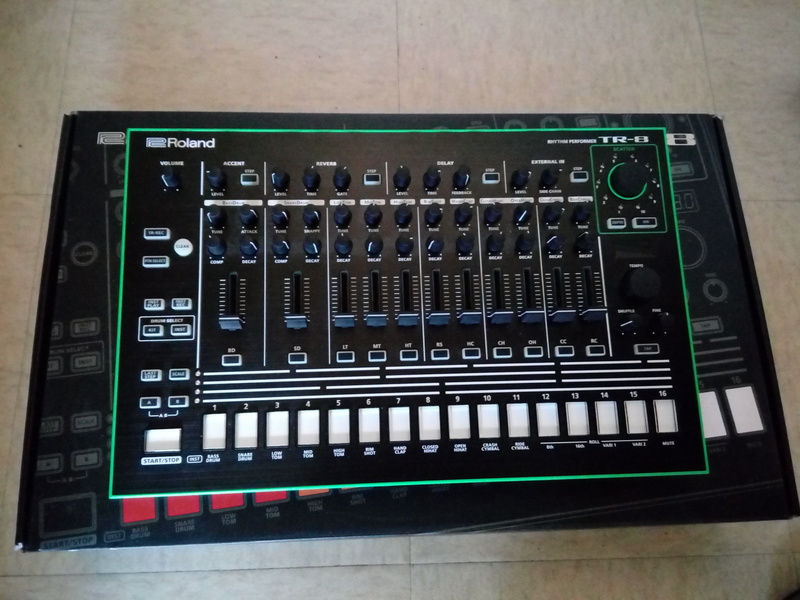 I have it for a month, I have a possd jomox (nothing to see), I tr a 808 and a elektron (trs diffrent also see not comparable). For once, I wanted a very 909 but prices just make me hallucinate, well yeah honestly 2,500 euros for machines 20 years and whose end of life is near and without any possible evolution of the OS, there is no good picture. For 500 balls t have just sounds that kill, some corrections are coming on the machine. I love the sound, I dteste the lights garland style Nol (but you can put them on standby), more damage would have audio outputs t welcome but the price would not be the m me. BOFs the effects and the scatter which serves nothing. Chris Darkers's review (This content has been automatically translated from French)" Excellent but lacks the memory settings"
The connection is good and sufficient. 8 reverb and delay effects are just okay but hidden feature. The configuration is simple, editing is simple but it is an emulation of the 808 and 909 and you buy it for that. Too bad the instructions forget things. The sounds are good but have not had the 808 or 909 hard to see the difference but the dynamic is perfect. I use it for a week and it is very good. A supplement to my Maschine, we will have essentially a function key. Very good value and the finish is quite nice report, multicolored keyboard is very nice. Anonymous 's review (This content has been automatically translated from French)" Roland knows how to make good coffee!" The machine looks good, though very slight. Everything robust air, no problem on that side. The sound is incredible and reacts to the finger and the eye, great groove, very hot, scatter beautiful, the pace is perfect "Swiss Made" genre. We feel that there's been some work behind, I found particularly live loops compared to the Korg. Incredibly intuitive design, beautiful interface work from designers Roland. The box is well made, very nice backlight and not tiring. The manual? Upon opening the box you say damn there's no manual, but once read simple A4 page in French and after pressing a few buttons and turned you say owl there's no need for manual! The price? A true gift compared to market prices. Short but good, thank you Rolaaaaaand! yes I have tried lots of weird instruments but this one I'll keep lotemps I think. yes I would purchase without a doubt. I do not like it as light, it's gadget. But at the same time it is beautiful and quite professional. g.dps's review (This content has been automatically translated from French)" Good BAR"
Effects: accent, reverb and delay assignable to or not an instrument. Pretty average but dosing finely it does not shock too. Buttons, knobs and sliders are quite nice. On aesthetics is based on the tastes and colors of each ... I found I not so bad and the quality is more serious than the pictures or videos may not suggest. Function "Christmas tree" on standby, which borders the taste without ever reaching fortunately deactivated because if you play in a dark room you will take full peepers! The sounds come from modeling, not editable via PC. There are 16 kits available. However I could test control via MIDI in Reaper, do not worry. It compensates the lack of a little song fashion and patterns only 16 users, given the current memory capacity then I do not understand ... I think those who use live will quickly feel cramped. 16 step sequencer could not be more classic. The general configuration is simple, no problem on that. I've never had the original TR hands but there are brands easily, it's very intuitive. Even I, who do not live I found myself enjoy myself with no particular desire to compose. Editing fast sounds (bank, you can not use a kick and snare 808 909 for example simultaneously), and settings associated with each instrument are effective, as the assignment of effects. I deliberately do not speak the scatter useless to me. The manual is clear and sufficient? Pardon? I had to miss a trick or when the manual was missing from the box ... Just a quick start guide to the basics. Point list of banks or presets, nothing about advanced features. Not even a pdf on the Roland site! But my good sir, there are hidden functions see! Of course, dear Roland, but imagine that you buy, say, a car. Property. And to access an accessory function, eg down a window, you should activate the left turn (to the left pane of course) while holding down the search button of the radio stations and disengaging. It would mess, right? And if in addition the user of the body does not explain the manipulation? Ben TR-8 is a bit like that ... Thumbs manual level. To be honest I think I would have been a bit more forgiving if there had not been a month and a half before the release of teasing. It leaden severe note use damage. Highlight of the BAR. The sounds are very good, not breathing and good dynamics. Sounds! 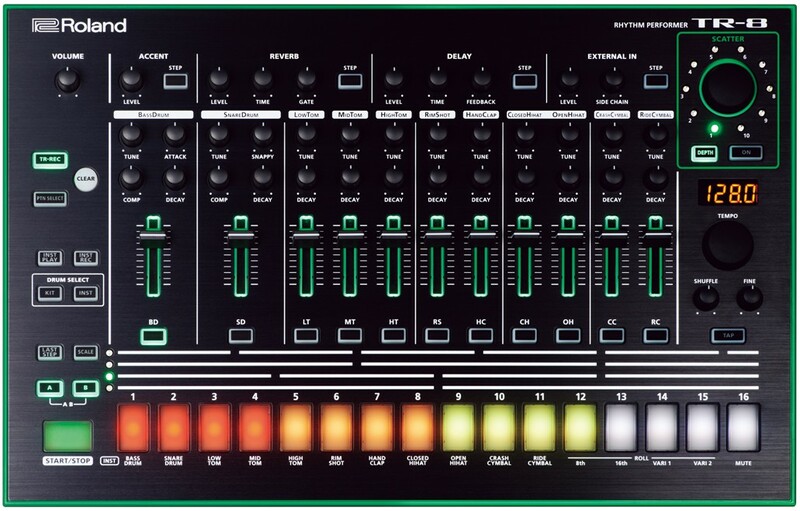 As I said above I do not know the original but I do a lot of DIY analog and I'm not at all disappointed by the TR-8. Let's be clear, digital spring side, but very quietly and the overall quality of sound is excellent. Are they realistic? Yes I think so, especially encompassed in a mix. I have no particular preference for sounds, each bank should suit a particular style but all are in good order. As usual I post my opinion after a limited use to reveal the ergonomics of product facing my little fingers and my little brain. In this case I have the TR-8 week. Not testing, but on this one the net resources are abundant! In the end the price / quality ratio seems good and I would do this choice if the opportunity represented. 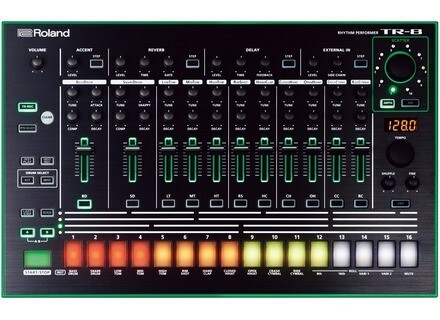 Roland announces an expansion pack with the sounds of the TR-707 and TR-727 drum machines for the Aira TR-8.